Works in various genres of modern art: the press-art, object, installation, performance, photo, video, author's book. Graduated from the architectural and decorative plastics department of The Leningrad Higher School of Art and Industry named for V.I. Mukhina. Member of St. Petersburg Humanitarian Fund "Free culture". Since 1996 member of the art Union Association "New Idiots". Director of alternative mobile Museum of Modern Art "Museum of the Contemporary art Mouse-Trap". 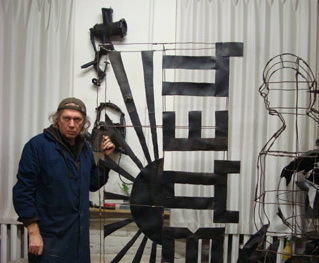 In 2000 together with Vadim Phlagin founded the gallery "PARAZIT", that has no permanent address. In 2006 opened the smallest in St. Petersburg gallery "10x15".